Home>Blog>Blog>Behind the Seams>Buy a Sew Over It Gift Voucher! 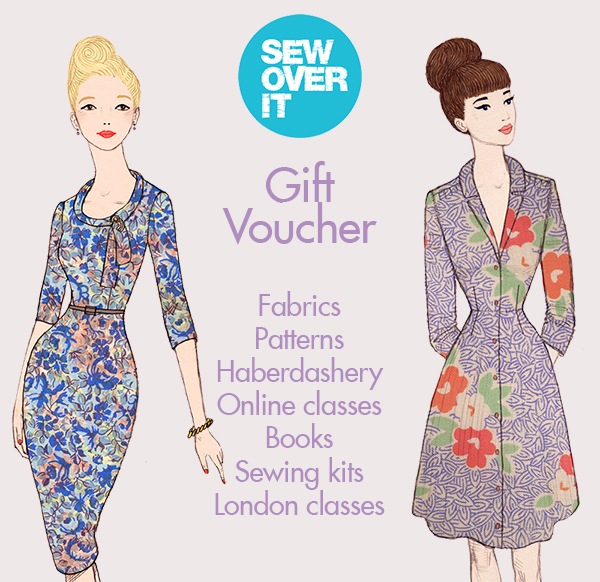 Buy a Sew Over It Gift Voucher! December is upon us and it’s time to start getting Christmassy! Trees are already up in several Sew Over It households, and it’s only a matter of time before the office gets a festive makeover. Next stop: presents! If you’re struggling to think of a gift for that sewing lover who has everything, Sew Over It gift vouchers are the perfect thing. They can be spent on anything, from our London classes for local sewers to online classes for sewcialists worldwide, fabric galore, patterns, books, haberdashery and more! And with amounts from £25 to £200, what you spend is up to you! Go on, treat your favourite sewing fan!